Their clothes might be small, but they sure take up space. Our Aldgate chest of drawers presents a stylish storage option for housing clothing, toys and trinkets thanks to three roomy drawers, plus additional side storage for books and craft items. Not forgetting your tastes, we’ve made sure it’s in keeping with a sophisticated home. 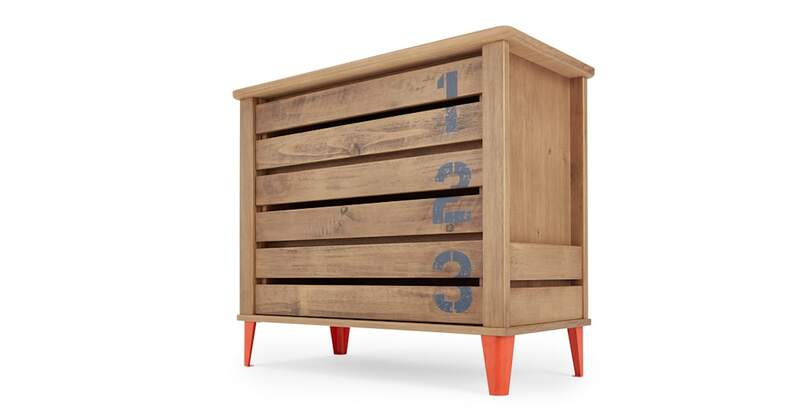 It has industrial-inspired touches like the crate-style planks and numbered drawers. It's rustic finish means it strikes the balance between traditional and contemporary design, so once the kids have outgrown it, it will make a stylish storage solution elsewhere in the house.